At RiotMode, we are dedicated to producing exciting, easy to use, and above all, high quality audio software. 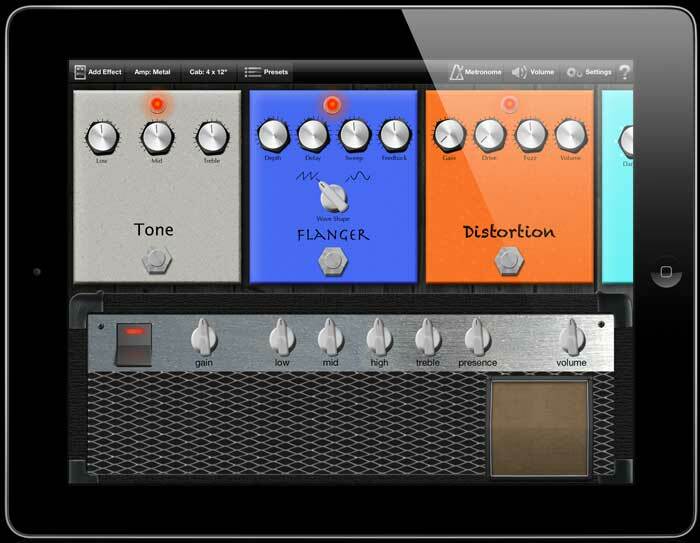 RiotFX, our guitar multi-effect processor for the iPhone and iPad, has just been updated with a great looking user interface. Most importantly we have completely rewritten our core audio code. This new generation of guitar effects processing engine – designed exclusively for iOS - allows you to experience even better sound quality and provides RiotMode with a robust framework for extending RiotFX and producing future apps. We continue to listen to your comments and suggestions, so expect to see further improvements, new features, and cool effects coming to RiotFX over the next few weeks and months! It's going to be an exciting time for RiotMode, and for guitar lovers! RiotFX 1.7 is now available! Added Compressor & Noise Gate, and improved Expander! Dynamic range effects now feature a decibel meter around the threshold knob, which enables simple and accurate threshold setting. A great, in-depth review of our guitar effects app has been written by ScareBear. Check it out! Copyright© 2012 RiotMode Ltd. All rights reserved.